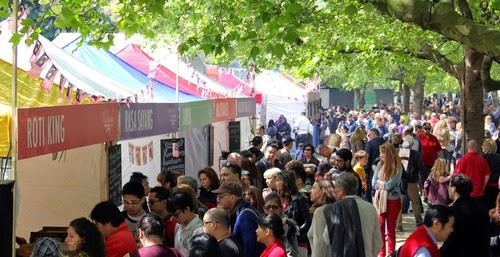 A special Malaysian food market popped up on the South Bank yesterday, and is open again today, offering you the chance to buy food and eat it in the area between the Oxo Tower and Waterloo Bridge. Visitors are told to expect around 15 different Malaysian restaurants and food sellers, as well as music and some live cookery demonstrations. Wow thank you! Im soooo bored of London, nothing to do lol. This blog will help a lot!